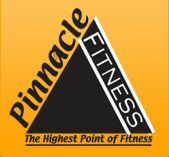 Pinnacle Fitness has been the premier personal training fitness center in the Buckhead area since 2008. Here, you will be carefully guided by professional, certified trainers and a staff dedicated to your personal fitness and wellness program, including nutritional guidance by a licensed dietitian. Our facility features revolutionary equipment, including a Sunlight Far Infrared Sauna (as seen on The Oprah Winfrey Show) and the only Kinesis Wall in the area. Contact us today to get started -- we can help you reach your own Pinnacle of Fitness! As a Licensed Professional Counselor and a Certificated Fitness Trainer, and a Certified Wellness Coach Laura offers a total mind and body experience. Laura has her own private practice with a specialization in eating disorders, addiction, and trauma. With a kickboxing and dance background, exercise has always been a top priority in her life. This dedication to health and fitness led to her becoming an ISSA Certified Fitness Trainer. For over four years she has successfully trained a variety of clients and looks to incorporate her knowledge of kickboxing and dance for optimal results. Fitness. Studies have shown that building muscle has become crucial for longevity and a healthier lifestyle. With a mixture of cardio and weight training, Laura will get your heart rate up in order to burn calories, increase endurance, and build that crucial muscle. By building muscle, she’ll be able to sculpt your frame and make you stronger. Laura’s focus is on you: she wants to help you grow, change, and become aware of what you are capable of doing. As a Licensed Professional Counselor, she knows how to include encouragement in your training as well as offer guidance in nutritional needs. Having studied how food affects mood and ignites cravings, she is able to offer you a better understanding of the connection between your body and mind. She has successfully trained individuals who have struggled with body image, overeating, and addiction issues. Wellness. Laura is an intricate part of Pinnacle Fitness Wellness Program. If you feel the stress of everyday life has prevented you from reaching your goals (fitness, career, relationships, etc. ), Laura will help you identify and understand so you are capable of making the necessary change. She will not only help you shape your body, but place priority on making positive lifestyle changes.